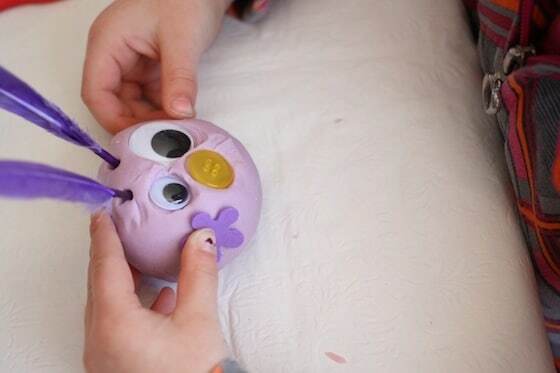 Easter is right around the corner, and here’s a fun Easter activity to keep the kids busy before the holiday arrives. 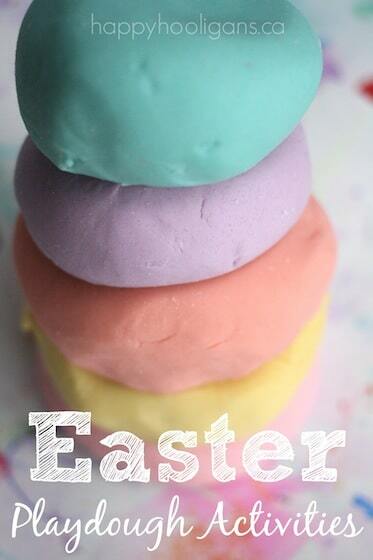 Whip up a batch of Homemade Easter playdough for toddlers and preschoolers, in the softest shades of spring! If you’ve been following along with us, you know how much I love coming up with themed playdough ideas! 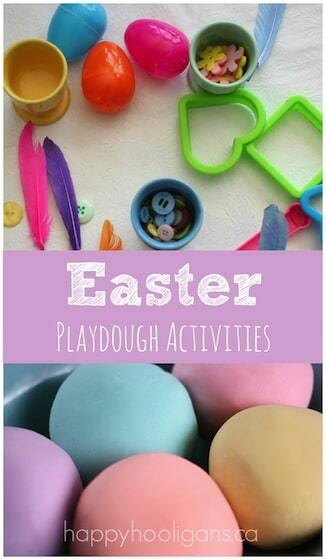 Today, I’m sharing the Easter play dough activity we had going on yesterday. 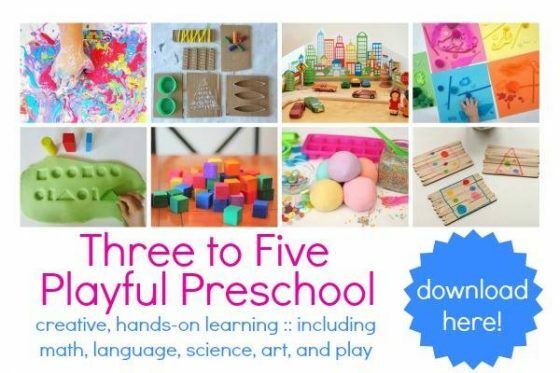 Your toddlers are going to love this one! 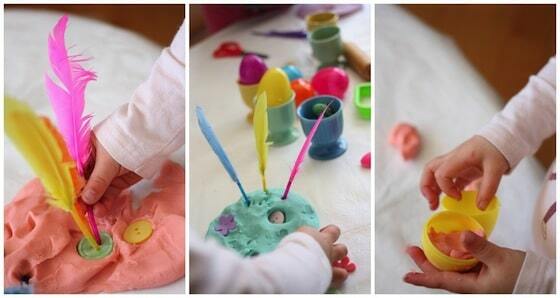 First, you’ll need to need to make your Easter playdough! For your convenience, this post contains Affiliate links. I receive a small commission when you shop through these links. Thank you for your support! Just look at the gorgeous spring shades of this playdough! Aren’t they pretty? I used The Imagination Tree’s easy, no-cook playdough recipe. 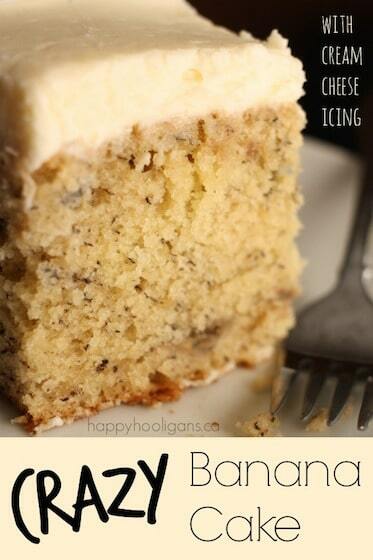 Anna has all kinds of recipes for playdough, but this one is my favourite. It’s always so soft and silky. 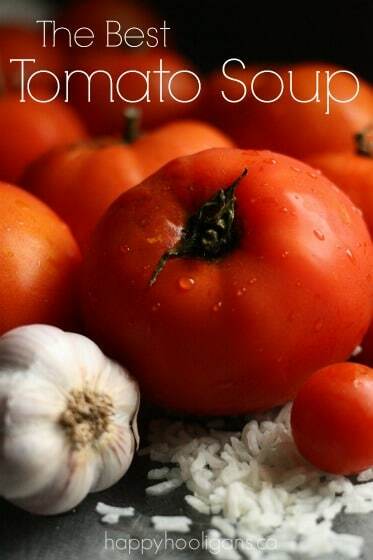 We can leave it out all day and it doesn’t dry up, and it will keep for months in an airtight container. The secret to getting these soft, pastel colours is to use very little Food colouring. 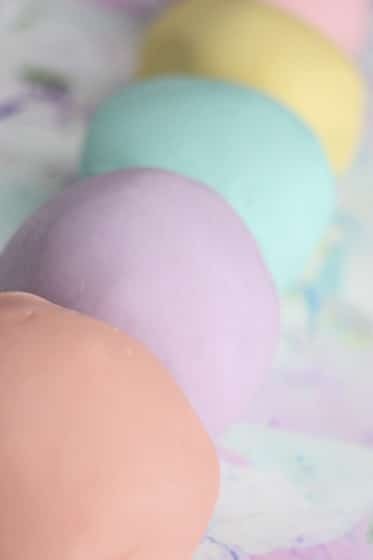 I used Wilton Icing Gels . I added just a tiny bit at a time, kneading it in until I was happy with the colour of my dough. The Wilton Gels tend to intensify over time, so when you’re going for soft colours, less is more! The girls had a great time creating easter bunnies with the googly eyes, buttons and feathers. 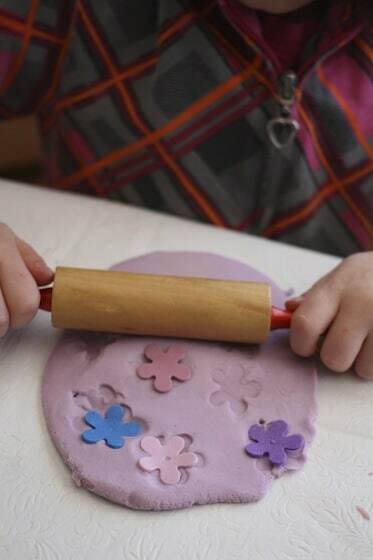 And they pressed and rolled the foam flowers into the dough to make imprints. They filled the plastic eggs with dough, and explored all of the materials while decorating their dough. It was a true sensory experience. 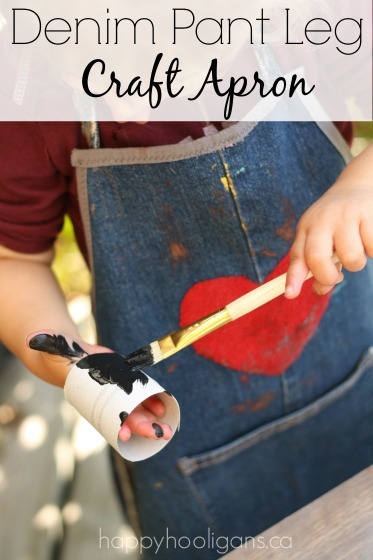 Providing a variety of tools and embellishments allows kids to get really creative! 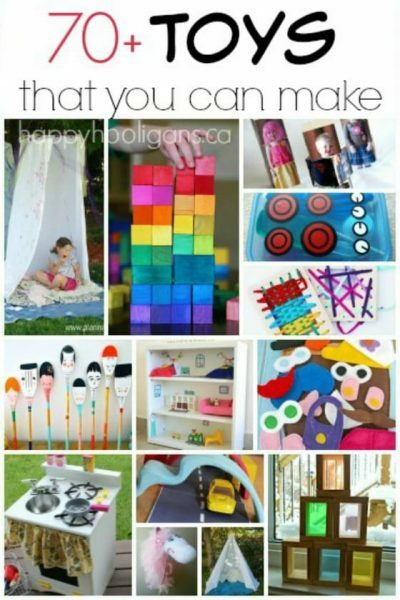 Have a look through your craft supplies to see what other supplies you can set out with your playdough activity! Craft sticks, plastic straws, candles, beads, cocktail toothpicks! The sky’s the limit! When you think outside the box, you’ll come up with all kinds of ideas! And now, how about some Easter Colouring Pages for the kids? 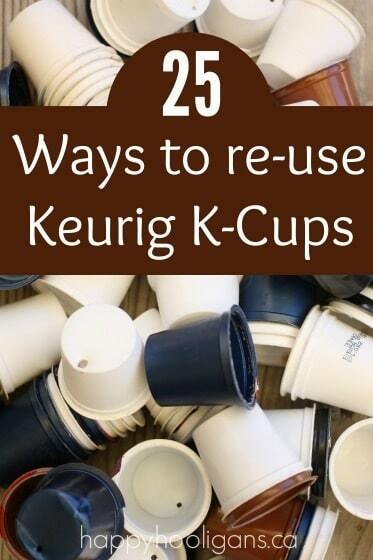 You can print them off for free thanks to Skip to My Lou! will it harden so we can keep it? I’m not sure I understand, Rachel? You’re wondering if the playdough will harden? Playdough doesn’t harden the way you’re thinking, for keepsakes. 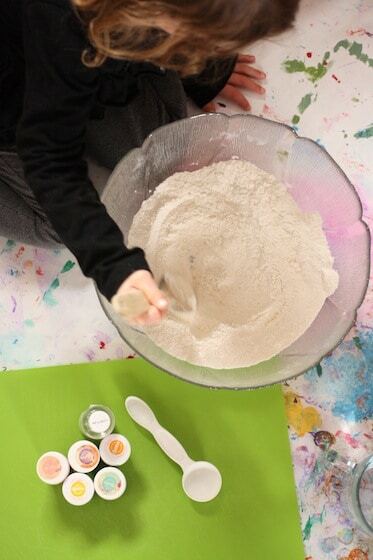 Look for a basic salt dough ornanent recipe, bake them at low heat, and then you can paint and keep forever. My mom still has mine and they’re about 40 years old now. This is so cute. It looks fun. I’m sure my son will love this. Thank you for posting. You might want to see this. Thanks, this is exactly what we need for the spring break since our chocolate playdough from Valentine’s day has seen better days!